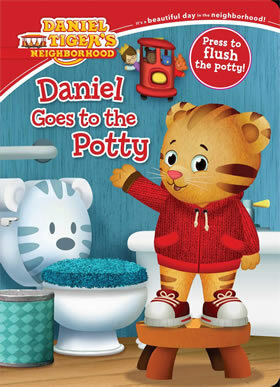 Daniel Tiger is learning lots of new things about going to the potty. Little ones will love helping him flush the potty, which will also help them become familiar with the toilet's flushing sound. Just remember: When you have to go potty, stop and go right away. Flush and wash and be on your way! 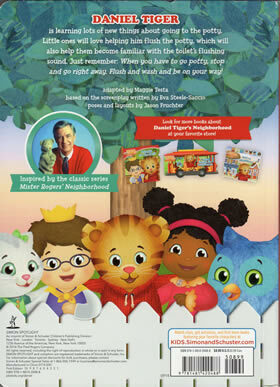 This book follows the same storyline as Episode 111b. A battery powered button appears in the top right corner of this book which can be pressed by readers to hear the sound of a toilet flushing.